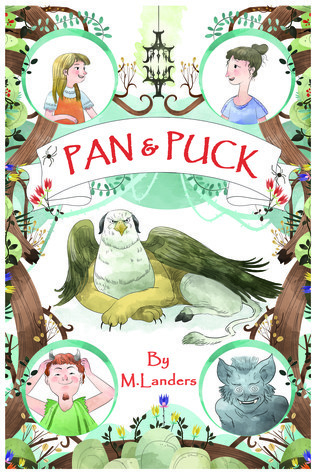 Below is one of my personal favorite passages from Pan & Puck, the novel I’ve just released. This scene takes place in Chapter 7, just before the adventure takes a rather unexpected twist that leaves all five heroes in a bind. You can buy the entire book here! P.S – I know it might read more easily transcribed, but I really love the way the finished paperback edition turned out, so I took screen shots of the actual text from the book. Hope that doesn’t make it less legible or easily readable for you! We found out that we lost the first baby a few days before Ash Wednesday. It’s hard to understand mourning someone whom you will never meet. Our older children were both a stark symbol of the growing absence and a balm in the midst of our gloom. When we initially told them we were going to have another baby, Norah’s reaction was strange. She was concerned for the baby’s safety, showing uncharacteristic nervousness. When she found out that the baby had died, she sobbed. Having that pain filtered through our five year old’s tears was harder to bear than any other shade of this sorrow. I have found that we each give and receive love in a way as unique as a thumb print. Upon reflection, mourning seems to be a self-same instinct. Me, I just wanted to keep my head above water till the storm had subsided. I had expected to carry the weight of this grief eternally, always as heavy as the day it was handed down to me. I spend my days preparing my heart for such sorrows, though they’ve rarely crossed my path. But my wife. Her feelings are usually so veiled that they remain shrouded even to her, until a culmination of grief and relationship bear in upon them. A woman’s connection to her unborn child is something a man isn’t meant to understand. That difference makes it all the harder to relate in processing our losses. It wasn’t until the pregnancy in May that she began to talk as if she expected loss now. She felt as if something had broken in her, both spiritually and physically. As if she were being punished for some fatal and unrecognized flaw. Her brow was dark, forecasting a curse that she would never have conceived of six months prior. And in some aspect at least, she proved to be right. The second miscarriage was worse. Farther along and with more complications, the scars run deeper. My wife rarely shares much, but it is the memory of those days which haunt her continually, She ended up in the hospital before all was said and done, undergoing outpatient procedures that turned into a few night’s stay and a couple of quarts of transfused blood. We buried our baby boy at the back of the garden, near his sister, sprinkling wildflower seeds across the sprawling roots of the stump that serves as their headstone. Those blossoms are just now starting to bloom for the first time. Fool me once, shame on you. Fool me twice, shame on me. Perhaps it was foolishness, looking back on those ancient decisions. The sorrow of loss is inextricably mingled with the question of culpability. We retrace the missteps and calculate our misguided course corrections ad infinitum. We wear out the tread on each slipping memory, grasping vainly at every shimmer of truth. What should I have known then? What could we have done better? Is it irresponsibility to let this happen again? Is it cowardice to stop nature in its course? Hope sprung eternal, hellacious gluttony, or stubborn pride of principle? Some synthesis of these keeps us returning to that boundless natural resource: human suffering. We all squint a bit sidelong at the foreign aspects of each others’ humanity, incapable of understanding what allows someone to be so cautious or so reckless, so invested or so isolated. Too deeply animalistic, so willingly tied to the frailty of our fallenness. Undisciplined. Too excessively principled, rejecting sensibility to go chasing shadows of eternity in a dangerous world. Naive. These mortal coils seem sleepy and submissive at a comfortable distance, yet they always prove inscrutable at close proxemity. Lulled to sleep by years of screen hyponosis, yet a prolonged toothache is all the discomfort needed to suddenly stir the dozing suburban spirit. Many would call us fools for allowing our bodies to continue to procreate. I imagine myself viewing the scene over your shoulder, nodding my approval of such pronouncements. Perhaps I am a selfish pig for allowing my wife to devote her body to so many scarring failures. Perhaps she is a timid fool for continuing to trust in me and Him and this process. The third miscarriage in as many quarters came with stranger circumstance and more nebulous confusion. After a month of concerns and tests and procedures, the doctors could never verify the presence of a child in the womb. Still, her body continued on high alert, a fever pitch of preparation for a life that didn’t seem to exist. The verdict was that letting this continue would most likely kill her in time, but we waited all the same, hoping for some glimmer of understanding. None came. Each passing day meant less time before her body broke. We caved. The girders of our constitutions were found wanting. Under stress, they collapsed upon our heads as we pondered them. The layout of the hospital wards became too familiar. By the end of October, we looked back on the year in a dumbfounded daze. Suffering is a thing that some prepare for. Like doomsday preppers, they carve out a place inside them and try to get comfortable, quivering and waiting for the inevitable fallout. Most seem more eager to ignore the mushroom cloud on the horizon. With a little numbing of the soul, we can convince ourselves that it can be avoided altogether, even as we cruise toward it. Whether we level our stance to try and catch it or turn our hearts to ignore its approach, the breaking of our love bowls us over and wrings us out when it arrives. No philosopher who apologizes suffering in the sunshine feels comfort from his aphorisms in the midnight watches. No preacher is comforted by his portfolio of God-study on the restless deathbed. Love sours. We place our youthful bets and clench our tickets madly, cheering in unadulterated enthusiasm. At length, life slows and we frown. Grey hairs arise. Hopes wane and fall back among the pack, being slowly surpassed by unforeseen entries. Mourning is the dark horse of love. This new front runner overtakes and whelms all of our investments as we get to know and slowly age out of this world. We reveled in and savored them in their newborn flight. Now they are leaden upon our shoulders and our hearts. I promise that if you love, you will know excruciating pain. Lewis said that to appreciate even an animal is to open oneself up to be broken by care. Still, to those familiar with the long weight of beauty, the man who has no attachments has a more pitiable fate than that baggage of a lifetime. Such is our lot, to sting and yet fear most the not being able to feel the sting. I promise that your loves will deteriorate and that it will hurt. This is true for the waffling atheist, the star-crossed lover, the ardent jihadi, the workaholic philanthropist, the octogenarian martyr, and the cafeteria Catholic alike. The depth or type of a conviction is never strong enough by principle alone to withstand the terrors that prey upon the minds and memories of men. Whether you ignore the universe or build an empire of conclusions, everything human cracks under the slightest pressure from our inescapable place. There is no collection of right perspectives or sufficient actions that will grant release from the slowly crushing weight of existence; all attempts at love and hope turn in slow degrees to anxiety and despair. What we lean on most heavily becomes in its turn the source of the quickest decay. Is there yet some flicker of comfort in all of this? Some recollection of a sensible design, if decay is now the unforeseen path upon which caring leads us? Love is not a blindly self-replicating chemical reaction, a dangerously diluting emotional state, or even the noble choice of a hearty devotee. Love is more than a divine impulse. Love is divinity Himself. Love once embraced this depth of mourning and darkness and pain. Love recognized that its path led into desolate depression, yet still it plunged. Love is a person who embodied hope that willing drowned in pain. Love entered a void of turmoil and came up gasping for breath in the unseen hope beyond. When we lost the first baby, our daughter wept tears too bitter for the young. But then she sang songs of life over us. This one we first put our life into, she poured out new songs about Jesus’ desire to change our circumstances and our mistakes and making all things right. Love is not a concept or an action. Love is a Person; that Person is the salvation of the world, who willingly stepped away from all hope and trusted that hope would be found beyond reckoning. The Christ is Love, promising unfathomable mourning now and overwhelming purpose ultimately. Suffering hits us all squarely, disorients us to the cores of our likeness with Him; but we can expose our hearts before God and men, open ourselves to more suffering without hardening our hearts, and seek to know the Person who is a promise that all will be renewed as concrete joy in the end. Mourning hearts are well prepared. Those who have known loneliness make worthy worshippers.